The focus of all 4-H programs is to develop youth as individuals and responsible, productive citizens. The National 4-H Shooting Sports Program stands out as an example. Youth learn marksmanship, the safe and responsible use of firearms, the principles of hunting and archery, and much more. The program activities, with the support of caring, adult leaders provide young people with opportunities to develop life skills, self-worth, and conservation ethics. Brevard County and the Florida 4-H program encourage youth to become involved in shooting sports. 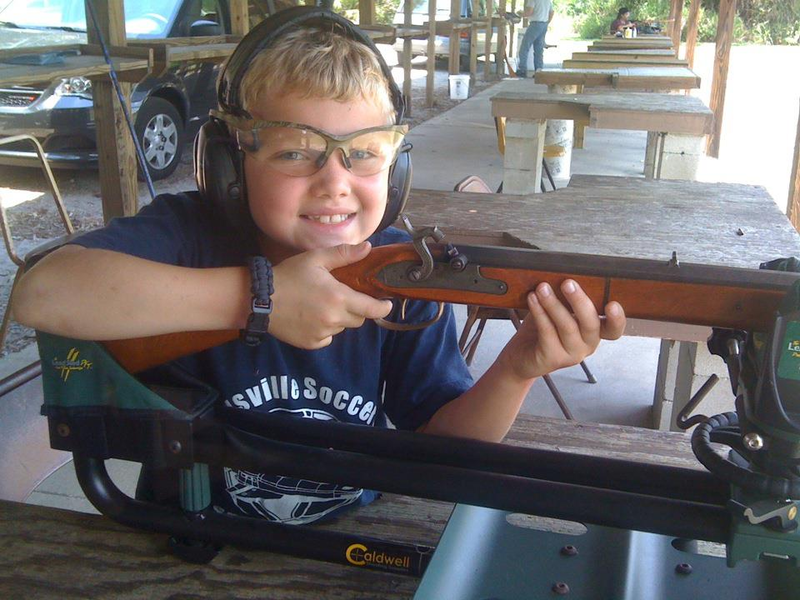 • 8-10 year olds (4-H Juniors) may learn archery and air rifle. • 11-13 year olds (4-H Intermediates) may learn virtually all of the rest of the shooting sports, including rifle (small bore or .22 rimfire), black powder rifles and shotguns. • 14-18 year olds (4-H Seniors) are eligible special privileges such as air pistol (not in Florida), and they can participate in the National 4-H Invitational. In other states, they can learn high power rifle (limited) and crossbow. • All youth are encouraged to participate in their state’s hunter safety programs through their state’s game commission, such as Florida FWC Hunter Safety or the Florida Youth Hunter Education Challenge. There is a reason these guidelines are in place. The National 4-H Shooting Sports Committee who set these standards, is made up of some of the finest educators, shooters, and experts in the country, with representation on the committee from the NRA, USA Archery, and industry. A while ago I had a great time teaching my grandson how to shoot a black powder rifle; he was eight years old at the time. Prior to going, I was not quite sure how he would handle it. Previously I taught him the basics or air rifle handling. Moving from an air rifle to muzzleloading was a few steps up in complexity and recoil. He did very well because his Papa Gus helped him every step of the way. I quizzed him on safety, firearm parts, and procedure. After he shot a few times, I used the Coach-Pupil method of teaching. I had him coach me, just as I had coached him. This strategy reinforced his knowledge gain. One technique that surprised me, was how effective the shooting sled (weighted gun holder) would help him make his shots. This tool took almost all of the recoil of the gun away. It also allowed him the flexibility to adjust his own sights, and shoot the gun himself. Even though these are the recommended ages for Florida 4-H, they differ for other youth programs (such as Scouts). They can differ within the same state program, or from county to county. 4-H instructors may make the requirements stricter for safety reasons. Check with your local youth leadership professional to be sure. Some programs are more or less strict, but I think most major youth shooting sports program guidelines are appropriate. No child is too young to learn about the dangers and risks involved with firearms. Child fatalities occur every week with air rifles, air-soft, and paintball guns. Firearms deserve respect by everyone, and to use one requires some basic knowledge and a sense of responsibility. In addition, every person should know The 3 Always of Gun Safety. The 3 Always of Gun Safety include keep the firearm pointed in a safe direction. Keep the gun unloaded until you’re ready to use it. And keep your finger off the trigger until your sights are on the target. Every young person will be confronted with being in the presence of a firearm. When that day comes, will they do so with wisdom and knowledge of safety? Or with a dangerous curiosity and ignorance? There are some excellent resources teaching kids to handle firearms in a safe way, such as this video from the National Shooting Sports Foundation’s Project ChildSafe, and the NRA Eddie Eagle Program.